Activated charcoal face masks has become very popular recently.Although they do not look very good, they have many benefits for our skin. The charcoal can help clear the dirt and excess oil in the clogged pores. It can also help remove bacteria, dead cells, and toxins. These things can cause your skin to become less flawless but the moment that you use activated charcoal, they will be swept away. 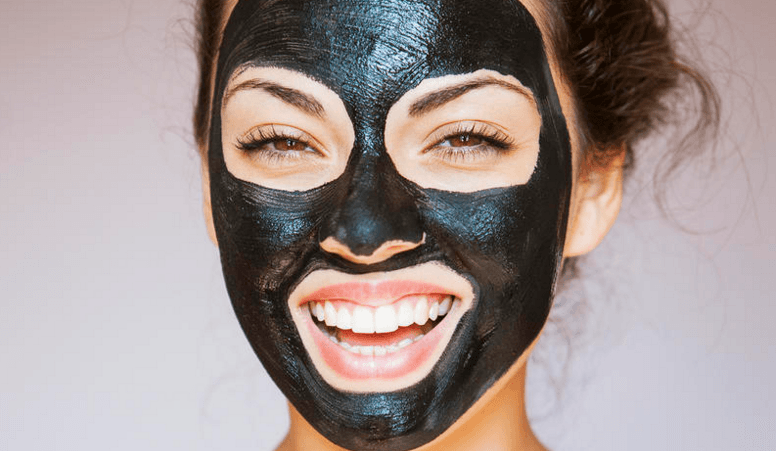 You are aware of how activated charcoal can make a huge difference in your skin’s appearance but are you aware of the other benefits that it can provide? These are just a few other uses of activated charcoal that will make you want to have enough stock at home. This can effectively whiten your teeth – Are you searching for a natural alternative to teeth whitening? This is one of the items that you can use. Activated charcoal can actually neutralize the pH balance levels in your mouth so you can have a healthier and cleaner mouth overall. This can help get rid of hangovers – Have you had too much to drink recently? Using activated charcoal will allow you to remove toxins from your body so that your blood alcohol level will become significantly lower. 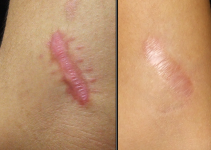 This will help get rid of molds – Molds can be found all over the body. They may come in spores and they may live inside your body. Do you know that mold can cause a wide variety of diseases? You may begin to experience more headaches or you may even suffer from kidney problems. The use of activated charcoal can help get rid of these molds so you can be healthier. This is used as an anti-aging agent –There are a lot of skin products that make use of activated charcoal. It can help keep the skin smooth, silky and young-looking. This can help get rid of bloating and indigestion – Activated charcoal can help get rid of toxins stuck in your digestive system.This can help you get rid of the indigestion problems. It is evident that charcoal can be used in different ways. Later on, you will learn more about how you can use charcoal as your own face mask. Right now, it is best that you learn some possible side effects that you may experience especially when you use it for a prolonged period of time. Constipation – It may seem weird that activated charcoal is meant to get rid of toxins. However, some people experience constipation because of using it. This may be due to other undetected digestive issues that need to be checked by a medical professional immediately. Blockage of the Intestinal Tract – This is rare but it does not mean that it cannot happen. Those who experience this are recommended to seek emergency help at the soonest possible time. Dehydration – You’d better take in more fluids while you are using activated charcoal as a home remedy. Getting black-colored stools and regurgitation. Do you normally get acne on your face? There are different reasons why people get acne. Some get it because they are always stressed and they cannot control their body’s current hormone levels. There are also some who get it because of their poor hygiene. For others, they get it because of genetics. 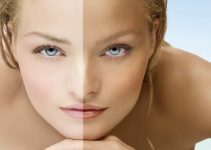 No matter what is causing your acne, you need to have the proper solution on how to get rid of it and the anti-acne face mask may be the solution. Mix together equal amounts activated charcoal and bentonite clay. Mix well together until you form a thick paste. Apply on your face with the use of your fingers. Make sure that your fingers are clean before you start applying the mask otherwise you may spread the dirt further. Apply moisturizer on the face after especially if your skin becomes too dry. There are a lot of people who love using peel-off masks because they love the feeling of being able to remove dead skin cells from their faces. If this is the way that you feel as well, this can be the right charcoal face mask you can use for your needs. You can mix water and gelatin together. Add bentonite clay and activated charcoal. Stir until everything is smooth. You can heat up the solution for 10 seconds in the microwave. You need to wait for it to become thick before you start using this. Once it has cooled down a bit, apply thoroughly on your face. Wait for it to completely dry before you start peeling it off. It will depend on how thick your mask is to determine if it would peel off immediately or not. Rinse your face with warm water after the mask has dried. You can also use coconut oil to remove the rest of the mask if you do not want to irritate your skin. It is best that you test it out on a small portion of your skin first before you continue using it otherwise, it can cause your skin to become irritated. You want to use a facial mask that makes use of amazing ingredients that are all known to be good for the body. You would like the mask to make you feel refreshed and you also want the mask to cleanse you. This can be a great option. Oats – This is an effective skin cleanser and skin scrub. It will not just remove dirt and dead skin cells from your skin, it will also have anti-inflammatory properties that can be effective in improving your overall skin condition. Bentonite Clay – This is one of the most recognized important ingredients for masks. This can help absorb the toxins in the body. Milk – You can use this to further help in exfoliating your skin. Kaolin Clay – This can help dry up oily skin. You may need to skip this ingredient if you already have dry skin. Make sure to crush the oats first. Add the max to Bentonite clay and Kaolin clay. You can also place some essential oils especially if you have dry skin. You need to stir with a wooden spoon as some of the ingredients will react with metal. Transfer the mask that you have created in another container. Place the mask on your face. Make sure to apply it evenly. You can also massage your face in a circular motion. Leave on for up to 15 minutes to effectively get rid of the deep-seated dirt and toxins. Rinse with warm water after. Some people say that this takes up too much time but remember that you can actually keep the extra mask you have created in a container so you can use it again next time. You already know that charcoal and clay can work well when mixed together and this time, you can use it in a form of a homemade scrub that you can easily do. You need to use other ingredients in the process but do not worry because these ingredients are all mild and will not harm your skin. Choose the soap base that you want for the scrub. Add the essential oils that you have chosen that will be good for your skin. Combine well until the mixture starts to look a bit milky. You can mix kaolin clay, jojoba beads and activated charcoal in another container. Once you are sure that you have completely stirred the items, that is when you can start adding them to the mixture. You will have a mixture that may be similar to a pancake batter. Apply a small amount on your face and massage it on your face thoroughly. Remember not to place in the eye area as this may be too sensitive for the scrub. Add moisturizer on your face after so you will not have dry skin. You can keep the excess scrub in another container and you can use it 2 – 3 times a week. Which among these facial masks are you most excited to try on your face? All of them come with their own benefits. You just need to choose the one that will work best for your needs.